There are some classics on here that I am sure you will have seen, but there are also a few slightly corny hidden gems you might have not have come across before, and hopefully they’ll take your fancy! After first watching this movie only a few years ago, I’ve never failed to watch it every Christmas since. Desperate to keep her family happy, but having just lost her boyfriend, a waitress kidnaps a customer at gunpoint and forces him to pose as her boyfriend for the Christmas holidays. Totally far-fetched, right? But it doesn’t matter. Though the plot may be predictable and incredibly corny, it’s a fun, light-hearted movie that I guarantee will leave a smile on your face. It stars Melissa Joan Hart and Mario Lopez, so if you grew up watching Sabrina the Teenage Witch and Saved by the Bell, you’re in for a treat! Quite an obvious and common choice when it comes to Christmas movies, but still one of my favourite movies nonetheless. 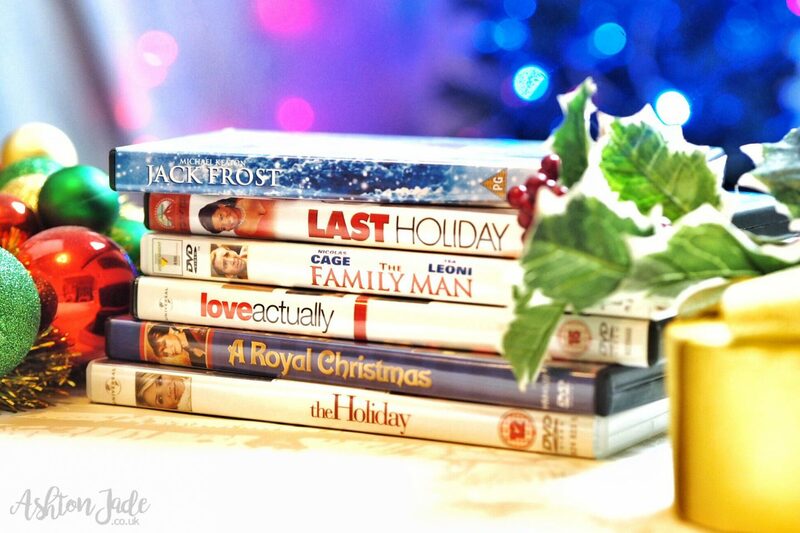 Love Actually follows eight loosely intertwining storylines with a star studded cast, all around the festive season. We see new love, old love, falling in love, falling out of love and everything emotion that goes along with it. It tugs on my heart strings each and every time – not just at Christmas but all year round. Big bonus that a few of my favourite British fitties are in it. I will assume most of you have already seen this, but if not, WATCH IT NOW. RIGHT NOW. Another popular Christmas film, The Holiday never fails to make me wish I had my very own little cottage reserved for the winter time. Two women from other sides of the globe who find themselves brought down by guy troubles at Christmas time make contact over the internet. On a whim, they decide to get away from their every day lives and swap homes for the holidays. (I’m guessing this was pre-Airbnb!) They might get more than they bargain for though as they begin to meet new people, make new friends and maybe even fall in love. 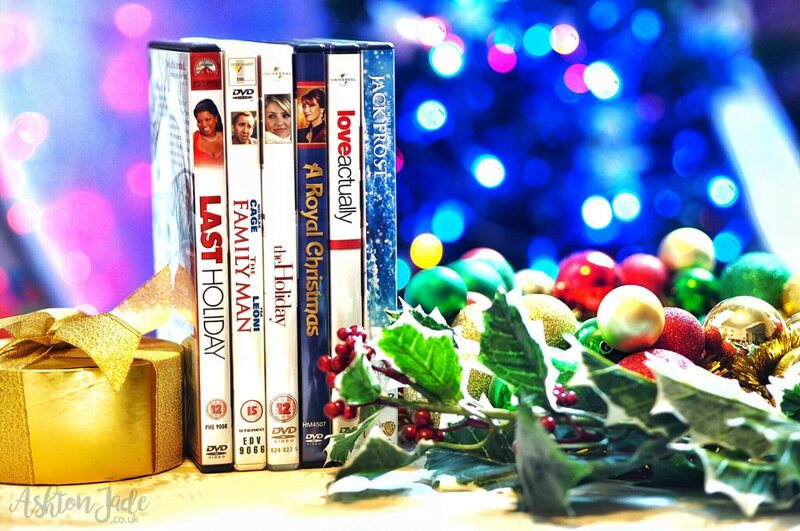 It’s a wonderful romance film that’ll get you feeling warm and festive, and Kate Winslet is just superb in it. Hands up if you remember ugly crying at the cinema when this first came out? Yeah, me too. 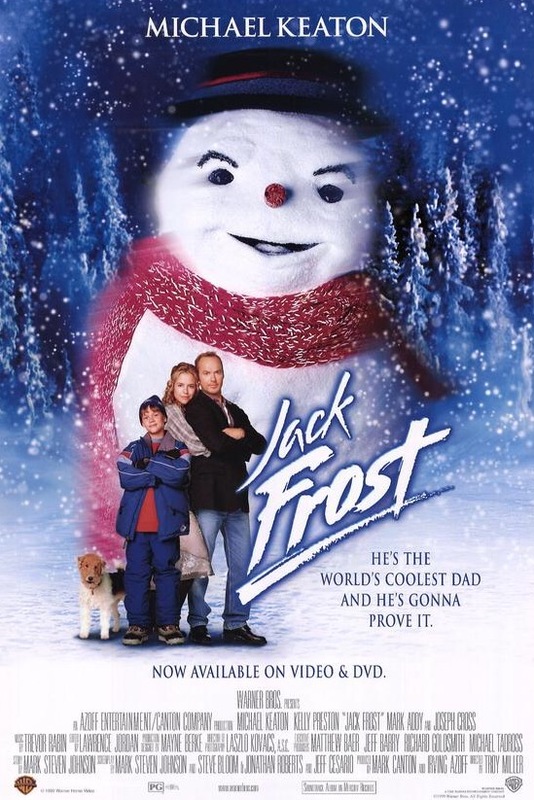 Jack Frost tells the story of man trying to be a husband, father and breadwinner, who can’t keep his promises. After dying suddenly in a car accident, he returns as a snowman, giving him a final chance to put things right with his son before it’s too late. It may sounds slightly far-fetched in writing, but don’t judge until you’ve watched it. It’s one that tugs on the heartstrings! 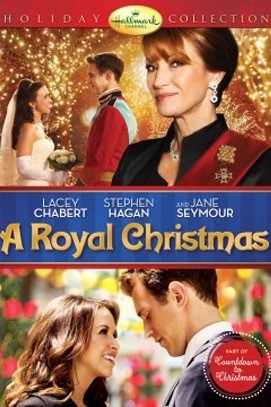 If you like an utterly corny but loveable movie at Christmas, then this is definitely a choice for you. Emily and Leo are just your normal, everyday couple who are head over heels in love. Or so Emily thinks. That is, until she finds out that Leo is actually Prince Leopold, heir to the throne of Cordinia, and though he wishes to marry his humble seamstress love, his mother, Queen Isadora, has other plans for her son. This is a nice easy watch for when you just want to sit back with no tears or too much heart tugging, but just a light-hearted, fun film. 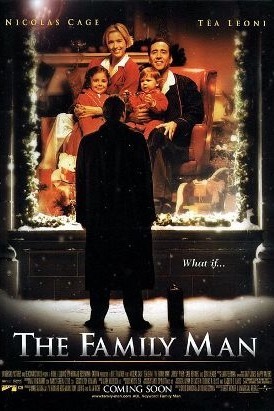 Not strictly a Christmas movie, but set around Christmas time, The Family Man is a film all about the courses your life can take based on the choices you make. After leaving his college sweetheart to focus on his career, Jack ends up living a fast-paced, lavish, luxury lifestyle with a number of women and countless dollars by his side. That is, until one Christmas when he finds himself waking up next to the college sweetheart he’d left behind all of those years ago and to the horrifying discovery that his former life no longer exists. As he starts to realise that he is living the life he could have had, Jack finds himself at a crossroad – love or success? It’s thanks to Last Holiday that I am so desperate to visit Czech Republic at Christmas. It surprises me how little people have actually seen this film, because it’s such a gem. Upon learning she has a terminal illness and just weeks to live, a shy and humble store assistant, Georgie Byrd, sells off all of her possessions to spend her final days living the luxury lifestyle in a European hotel. As she begins to charm the rich and famous staying there, certain guests and staff can’t help but be suspicious about who she is and start to do some digging. I shall say no more as I’m worried I spoil it, but please, if you’re stuck for something to watch tonight, make it this. They’ve added it to Netflix so you have no excuse.